One of the first things I talk with new clients about is the importance of being well-hydrated. One of the reasons people try yoga is because they want to increase their flexibility. Being well-hydrated is an essential first step towards reaching this goal. Paying attention to your hydration levels involves paying attention to your body. That’s not always an easy thing to do. Many people find that it’s easier to focus on another person’s well-being, as a way of beginning the process of taking care of themselves. Nurturing someone else helps them do the very thing they need to do for themselves. Start a plant. Select any of the free varieties, pick a pot and a background for it. You can even give it a name. Enter your body weight and activity level to determine how much water your plant needs every day. Select your favorite drinking container and pick a water measurement. Say you pick a glass that holds 8 oz of water. 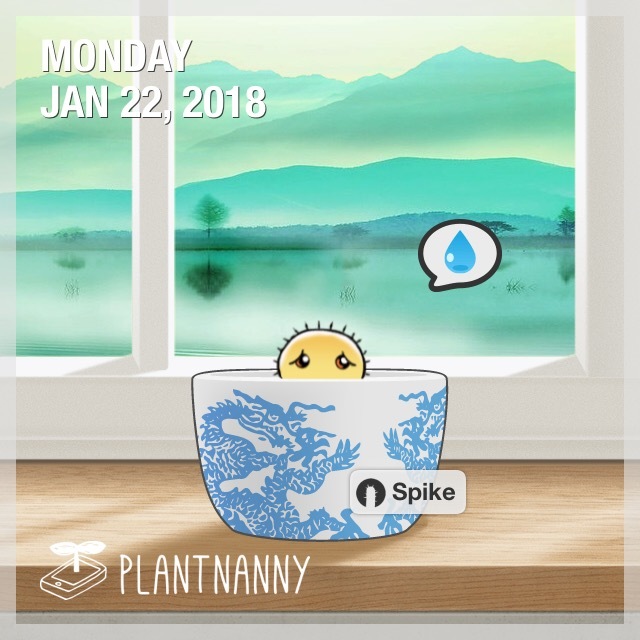 When you water your plant you press the glass icon button. Above the icon is a number. If you need to drink 64 oz of water every day, you’d need to water your plant 8 times a day. The first time I forgot to water my plant I tried reviving it with my “Drops of Life.” You start with ten drops that be used to help your plant grow faster or can revive a dead plant. None of my plants died but I did waste a lot of Drops trying to resuscitate my sad little plant. After your plant grows up (takes 1-2 weeks) you move it to your garden where it produces seeds every day. You can use these seeds to buy exotic plants, fancier pots and unique backgrounds. Plant Nanny teaches you how to take care of yourself through a personalized approach to health and wellness. It also teaches kindness, empathy and self-care.